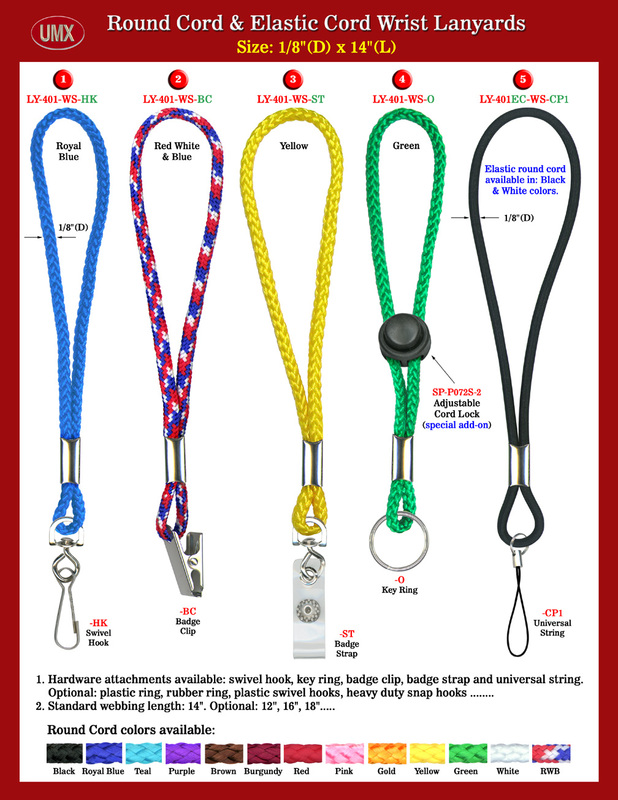 The LY-401-WS 1/8" nylon round cord wrist lanyards come with 13-colors available. The LY-401EC-WS 1/8" elastic round cord wrist lanyards come with black and white colors. The hardware are fastened by metal coupler. They can be cut to any length to fit your specific application. An optional cord lock can be added to the wrist lanyard too! Any custom size, length, material, hardware attachment are welcome! You are viewing Lanyards > Wrist > Wrist Lanyards Made Of 1/8" Nylon and Elastic Round Cords With Any Custom Length.